Courtney Dorn cuts the ribbon for her new family-friendly salon. Southern Belle Styles and Boutique celebrated its grand opening on Saturday, April 13. The event included an open house, a ribbon-cutting ceremony and refreshments. Southern Belle is located at 139 Faulkner Mountain Road, next to Hickory Hill Farm. Owner and lead stylist Courtney Dorn is excited to open a family-friendly salon with a breathtaking view. “The salon sits next to my family’s dairy farm, so my clients can enjoy the most beautiful view while getting pampered. 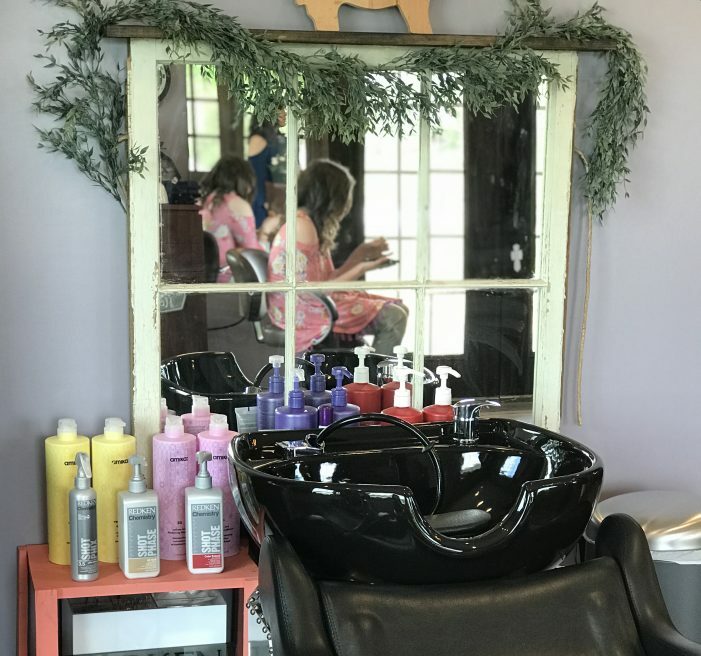 And because the milk plant is across the street, customers can grab fresh dairy products and get their hair done in the same trip,” said Dorn. The barn-inspired salon and boutique is nestled in a picturesque setting of lush green pastures and old, shady oak trees. The front and back porches welcome folks to sit a spell, perfect for sipping sweet tea or enjoying a refreshing pint of Hickory Hill Milk. Inside the boutique, visitors can purchase hair products, jewelry, handbags, farmhouse décor and clothing with a Southern flair.